17. LE SALUT EN CHRIST ET LA QUESTION DE LA SÉCURITÉ ÉTERNELLE DU CROYANT [Chapitre 15]. The fool has said in his heart, “there is no god”. . .
O foolish ones, and slow of heart to believe in all that the prophets have spoken! “But to him who does not work but believes on Him who justifies the ungodly, his faith is accounted for righteousness”(Ro.4:5). «Et à celui qui ne fait point d’œuvre, mais qui croit en celui qui justifie l’impie, sa foi lui est imputée à justice» (Rom.4:5). Είπε ο άφρων εν τη καρδία αυτού ‘δεν υπάρχει θεος’. . .
27. SALVATION IN CHRIST AND THE ISSUE OF THE ETERNAL SECURITY OF THE BELIEVER (Chapter 27). 26. SALVATION IN CHRIST AND THE ISSUE OF THE ETERNAL SECURITY OF THE BELIEVER (Chapter 26). 25. SALVATION IN CHRIST AND THE ISSUE OF THE ETERNAL SECURITY OF THE BELIEVER (Chapter 25). 24. SALVATION IN CHRIST AND THE ISSUE OF THE ETERNAL SECURITY OF THE BELIEVER (Chapter 24). 23. SALVATION IN CHRIST AND THE ISSUE OF THE ETERNAL SECURITY OF THE BELIEVER (Chapter 23). 22. SALVATION IN CHRIST AND THE ISSUE OF THE ETERNAL SECURITY OF THE BELIEVER (Chapter 22). 21. SALVATION IN CHRIST AND THE ISSUE OF THE ETERNAL SECURITY OF THE BELIEVER (Chapter 21). 20. SALVATION IN CHRIST AND THE ISSUE OF THE ETERNAL SECURITY OF THE BELIEVER (Chapter 20). 19. SALVATION IN CHRIST AND THE ISSUE OF THE ETERNAL SECURITY OF THE BELIEVER (Chapter 19). 18. SALVATION IN CHRIST AND THE ISSUE OF THE ETERNAL SECURITY OF THE BELIEVER (Chapter 18). 17. SALVATION IN CHRIST AND THE ISSUE OF THE ETERNAL SECURITY OF THE BELIEVER (Chapter 17). 16. SALVATION IN CHRIST AND THE ISSUE OF THE ETERNAL SECURITY OF THE BELIEVER (Chapter 16). 15. SALVATION IN CHRIST AND THE ISSUE OF THE ETERNAL SECURITY OF THE BELIEVER (Chapter 15). 14. SALVATION IN CHRIST AND THE ISSUE OF THE ETERNAL SECURITY OF THE BELIEVER (Chapter 14). 13. SALVATION IN CHRIST AND THE ISSUE OF THE ETERNAL SECURITY OF THE BELIEVER (Chapter 13). 12. SALVATION IN CHRIST AND THE ISSUE OF THE ETERNAL SECURITY OF THE BELIEVER (Chapter 12). 11. SALVATION IN CHRIST AND THE ISSUE OF THE ETERNAL SECURITY OF THE BELIEVER (Chapter 11). 10. SALVATION IN CHRIST AND THE ISSUE OF THE ETERNAL SECURITY OF THE BELIEVER (Chapter 10). 9. SALVATION IN CHRIST AND THE ISSUE OF THE ETERNAL SECURITY OF THE BELIEVER (Chapter 9). 8. SALVATION IN CHRIST AND THE ISSUE OF THE ETERNAL SECURITY OF THE BELIEVER (Chapter 8). 7. SALVATION IN CHRIST AND THE ISSUE OF THE ETERNAL SECURITY OF THE BELIEVER (Chapter 7). 6. SALVATION IN CHRIST AND THE ISSUE OF THE ETERNAL SECURITY OF THE BELIEVER (Chapter 6). 5. SALVATION IN CHRIST AND THE ISSUE OF THE ETERNAL SECURITY OF THE BELIEVER (Chapter 5). 4. SALVATION IN CHRIST AND THE ISSUE OF THE ETERNAL SECURITY OF THE BELIEVER (Chapter 4). 3. 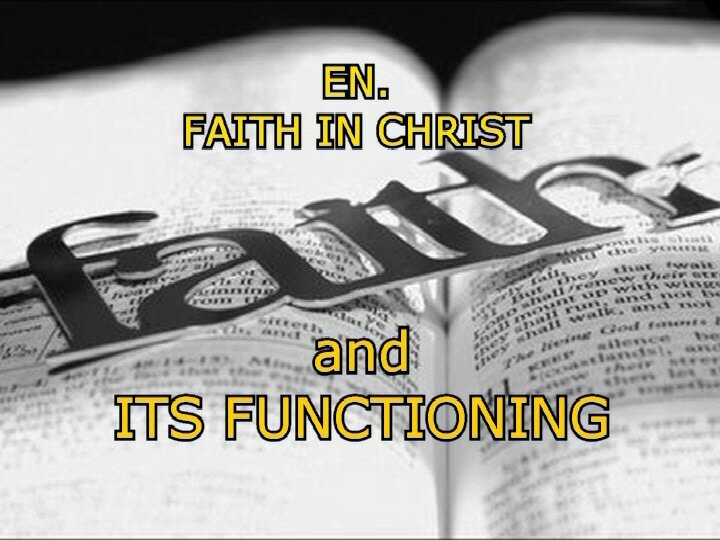 SALVATION IN CHRIST AND THE ISSUE OF THE ETERNAL SECURITY OF THE BELIEVER (PART A’ #3a’). 2. SALVATION IN CHRIST AND THE ISSUE OF THE ETERNAL SECURITY OF THE BELIEVER (Chapter 2). 1. SALVATION IN CHRIST AND THE ISSUE OF THE ETERNAL SECURITY OF THE BELIEVER (Chapter 1). 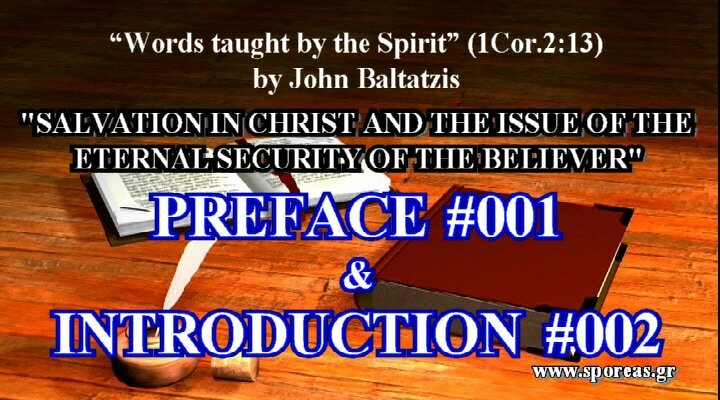 SALVATION IN CHRIST AND THE ISSUE OF THE ETERNAL SECURITY OF THE BELIEVER [PREFACE & INTRODUCTION].